The first and foremost thing you ought to do is plan your menu for the coming day. Plan in advance what your Thanksgiving meal is going to consist of. This could be the standard turkey, stuffing, two veggies, mashed or sweet potatoes, some sauce and choice of dessert. If you are looking to amp your menu a bit, you can also plan on including salad or soup to the feast and maybe some light finger food for when the guests arrive. It’s always handy to have some finger food ready to go. Guests would always appreciate some finger grub when they arrive at your place after facing the never-ending Thanksgiving traffic. Prepare a dessert that suffices the people that are going to attend the dinner. Guests often come along with desserts and you really cannot ever have enough of desserts, right? Once you have planned out the technicalities, you can move forward with planning your recipes as per menu and other ad-hoc things accordingly. Now, your kitchen equipment matters as much as the recipe you have planned. Why? Well, if you are planning on making casseroles and your turkey seems to be occupying the space most of the time then you are already in trouble. So, you ought to make sure to divide your time and kitchen equipment accordingly. If you are preparing casseroles, then start well in advance before you get to the turkey. You can always prepare this in advance and then just reheat it again once the turkey is done. The same way, your microwave at home can also be of a big help when it comes to heating your dishes. Make use of your kitchen stove neatly by finishing the side dishes on them. The goal is to optimize here and you can only do this if you know well in advance with your preparations. Your kitchen equipment plays a big part in how your Thanksgiving day goes. Looking for some decorations for your home? How about making use of From You Flowers and JustFlowers.com coupons and promo codes to get the best deals and discounts? Sounds odd, doesn’t it? Well, not that much. Your Thanksgiving evening would go much smoother if you get your serving plates, utensils and bowls well ahead of time. This means a day or two in advance before Thanksgiving Day. Choose and label your things with a sticky note like the utensils and serving dish you will be using with your menu for the night. Your fine china could be used for the turkey or the specific bowl you would be using for the brussels sprouts or salad. Labeling your things well in advance will only help you save time and space more than anything. Also, you would get to know in advance if any of your dishes are in need of a quick polish, wash or just a simple fix of superglue. It pays to be prepared for a day as amazing as Thanksgiving. 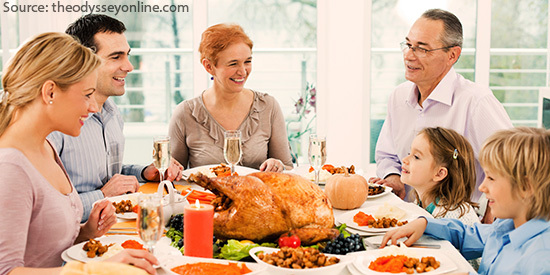 Thanksgiving is a family occasion and every one ought to not just enjoy the festive spirit but also be a part of it. They need not cook but can assist you in different other chores in the house. You can enlist people for different tasks in the house like making someone in charge of greeting guests, helping with their coats and even entertaining them. 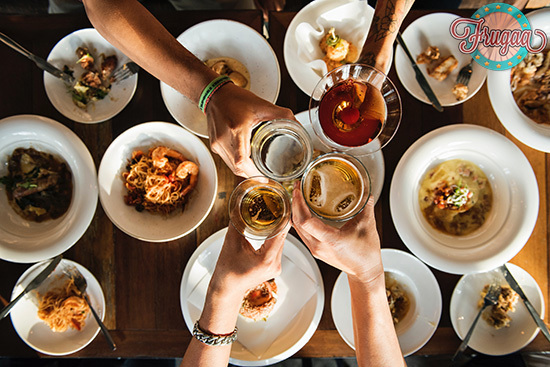 An adult can be put in charge of the bar and beverage service to ensure that everyone has something to drink and that everything remains stocked before the guests arrive. You can even put the kids in charge of checking the bathrooms and sinks and ensuring that you don’t run out of dry towels and toilet paper. Thanksgiving is a time for celebration, getting together and enjoying a good time with everyone. Why not make it worth your while by following some simple organizing ideas to make it the best one till date? Happy Thanksgiving in advance.